I use my phone a lot during the day to whiz through my social media channels and to check my email (and occasionally make calls and send texts) and by 3pm it is usually gasping for breath, ready to give up the ghost on battery life. 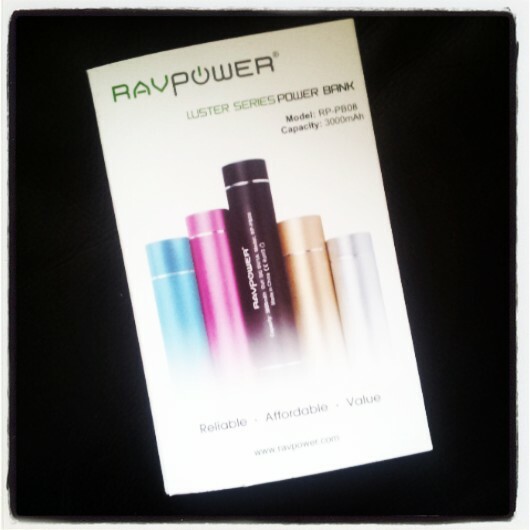 If I'm lucky I can usually plug my phone into a laptop somewhere and give it a bit of a boost but that's not always possible so I am a huge fan of portable battery chargers like the RAVPower Luster. 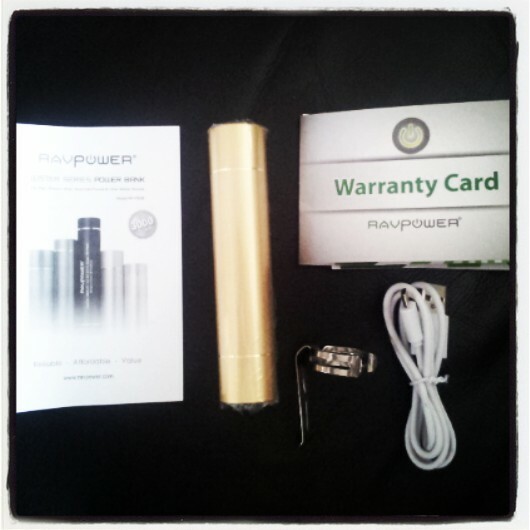 This is a dual power bank and torch/flashlight with three modes (high beam, low beam and strobe). The fully charged battery pack will enable you to run your phone for approximately six hours and is true plug and play. The power bank will automatically detect when your device is fully charge and put itself in standby mode to avoid over-charging. If you disconnect the power bank from the device it will wait about 5 seconds and (again) automatically switch to standby mode. Recommendations: I would like a charge indicator on the power bank simply to tell me how much "juice" is left in it and to remind me to recharge it. The spec says that it is the size of a lipstick but I'd suggest more the size of a mascara or a roll of coins (12cm in length) and it weighs just under 3 ounces. It fits perfectly into your pocket or bag and is available in five colours (as you can see from the picture of the box - blue, pink, black, gold, silver). It has been a handy piece of kit on a few occasions over the past few weeks. RRP is £39.99 but, at the time of writing, you could purchase it for under £15 on Amazon. *The Apple 30-pin charging cable is not included however you can use any original 30-pin to USB cable provided by Apple. Also if your mobile devices do not have a Micro USB port then it is recommended that you use the original charging cables that came with your mobile device.